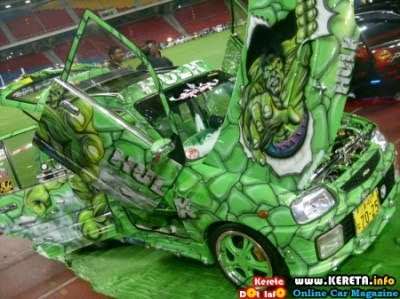 These photos showed an extreme-customized Perodua Kancil with the theme of Incredible Hulk. 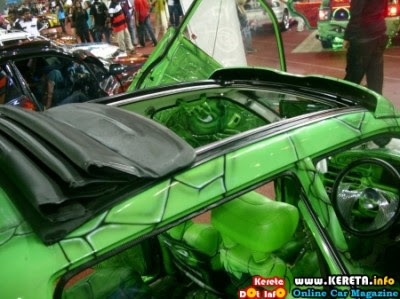 Scissors door, side opening hood and big sunroof. 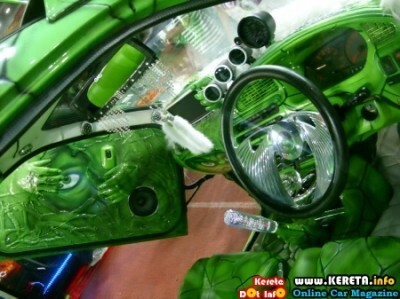 Fitted with turbo engine, painted intercooler and stabilizer. 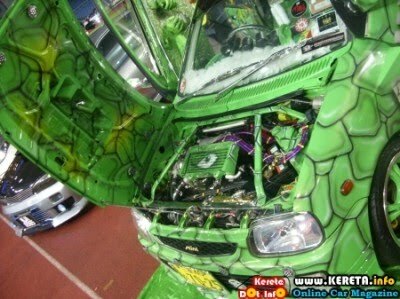 Sometimes I am just amazed at one's creativity, even a small-sized, compact Perodua Kancil can be transformed into a super show car, with huge budget and expertise of course. 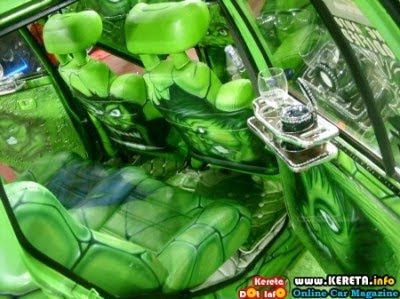 It may seem easy to just spend the money, but more importantly is getting the right people and the skills to customize a car. We do not want spending 20-30k RM and get a car that we are not satisfied with.